A relative newcomer to the world of mobile computers, Acer laptops have been the recipients of numerous awards for design and innovation. The line features a selection of TravelMate PCs, the Aspire series, and the cutting edge Ferrari line up. Acer Ferrari notebooks, not only share a name with the Italian sports car maker, but also boast the inimitable Prancing Horse emblem. Thanks to persistence and quality, they have managed to carve out a niche for themselves in the market, and are now amongst the top five brands. Acer is a Taiwanese manufacturer that offers a wide range of laptops of different prices and performance, but they are mostly known for their low cost range. Aspire One is one of the most famous and most popular model. Acer of course does not only have cheap laptops but they also have a professional line called TravelMate, which most likely will meet all requirements of picky businessmen. Acer also produces the carbon fiber Ferrari-models which has been successful for years. Acer Aspire One was first release in 2008 but it still one of the most sold netbooks on the market. It is cheap, small, light weight, and has decent performance. Let’s face it, the netbooks are not performance monsters but if you consider all the parameters you shouldn’t be disappointed. However, don’t use a netbook to encode video or similar tasks, unless you are very patient. Acer as a company has been around since the 70th but they haven’t really been designing their own products until 2000. All of Acer’s products are produced by factories in mainland China. Acer is not only a producer, they are also a distributor and they have their own computer retail chain in Taiwan. 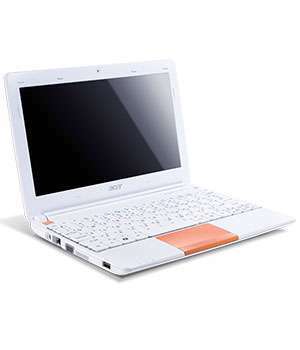 Acer has been a profitable company in recent years, mostly thanks to their popular cheap range of laptops. Acer not only makes laptops, they also have a wide range of other products such as smart phones, tablets, monitors and projectors.